God originally met with Moses at the top of Mount Sinai and gave him the commandments on two tablets. But even while Moses was receiving the commandments from the LORD the Children of Israel plunged to one of their lowest spiritual depths: they built the golden calf. When Moses came down the mountain and saw what they had done, his heart sank. Realizing the Children of Israel were no longer in the spiritual condition necessary to receive the holy and divine words of the Living God, he broke the tablets making them unreadable. God’s original plan for Israel was pushed back and a new plan was put into action. According to the traditional timeline, Moses broke the original tablets on the seventeenth of Tammuz. A few weeks later, after the situation with the golden calf was dealt with and the Children of Israel had repented from their waywardness, Moses went up onto the mountain again on the first of Elul. 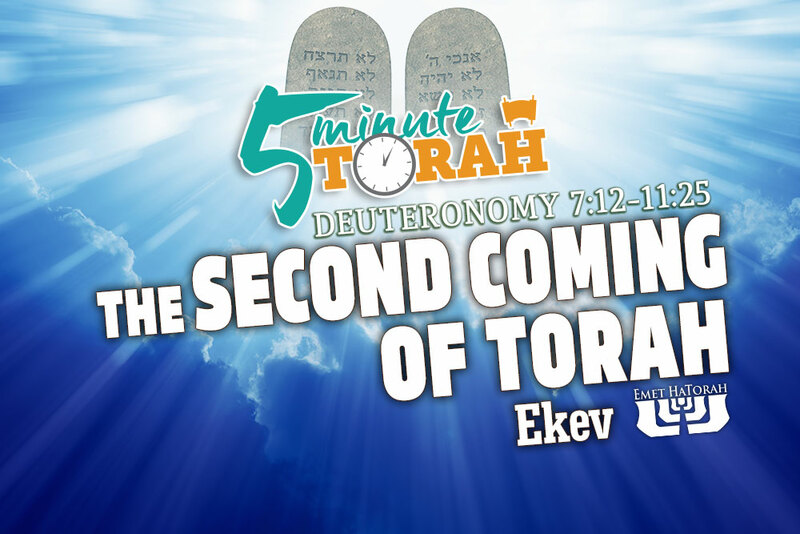 After forty days, he returned and presented the new set of tablets to Israel on the tenth of Tishrei, Yom Kippur, the Day of Atonement. But how could Moses have simply destroyed the first set of tablets, things so holy that they contained the commandments, “written with the finger of God” (Deuteronomy 9:10)? We have a similar problem in the Apostolic Scriptures. God sent His only son into the world to be received by mankind. He was to establish his rule over the nations beginning with Israel. He spent the bulk of his ministry teaching his disciples about the Kingdom of God and how sincere repentance could bring its establishment in their lifetime. His message was, “Repent! Because the Kingdom of God is on the brink of arrival!” However, as we know, “He came to his own, and his own people did not receive him” (John 1:11). His original mission to establish the physical Kingdom in Israel was pushed back and a new plan was put into action. He laid down his life on the cross. Most people think that Yeshua went to the cross because God never intended to establish an earthly kingdom. But God gave us a chance to allow Him to rule over us and we blew it. Therefore, in Yeshua, God had to break that precious and holy gift He had sent to His people, because we were not worthy, just like those waiting for Moses at the foot of Mount Sinai. But just as the Children of Israel were given a second opportunity to receive a second set of tablets, an opportunity filled with grace and forgiveness, so have we been given the hope of our Messiah’s second coming. When Israel sent Moses back up the mountain to receive God’s original instruction that would be carved on new tablets, the Children of Israel waited in anticipation. They maintained their purity and were vigilantly aware that their actions during this time period could dramatically affect how things played out in this “second coming” of the tablets from the top of Mount Sinai. May we be found doing the will of our Master until his return. And may his return be speedily and in our day.